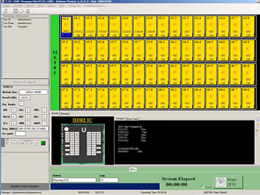 The TCIII-1600STIC NAND Flash test system comes with 16 to 64 devices. 16 to 64 devices can be tested in parallel to provide faster production. Error logging on Block/Page/Column mode and DQ's is also available. 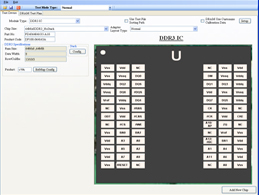 An optional handler interface allows the tester to communicate to a handler that perform ICs sorting and binning after testing. Traditional test systems provide the user with a variety of AC test patterns to use in their testing process. If a customer wanted the capability to generate a proprietary test pattern, they would have to purchase a high-end automated test system. For most companies this is cost prohibitive and not a viable option. 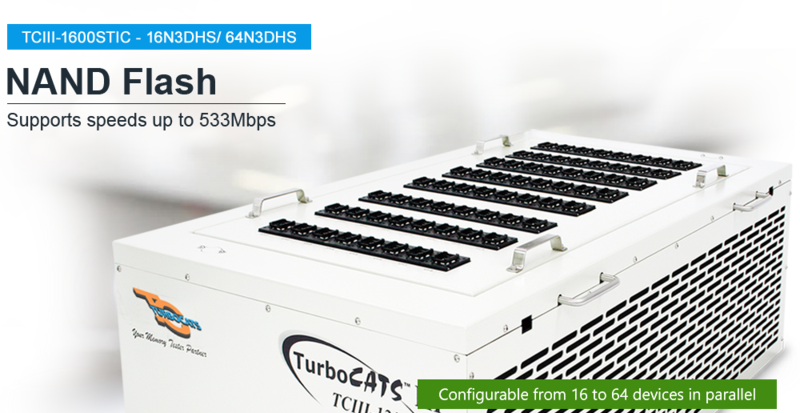 TurboCATS introduces the new feature called Script Code in its new test system, the TCIII-1600STIC. 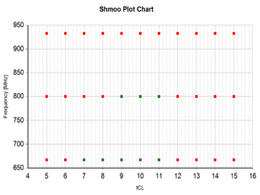 The customer can now use the script programming language to create a customized test pattern. 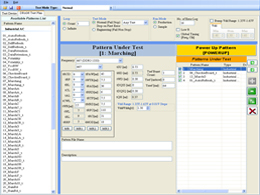 Once the pattern is created, the Script Code pattern generator/compiler is used to compile the code, then generate the new test pattern. The Script Code function also contains a built-in compiler and debugger for the Script Code programming, which allows the customer to monitor the timing waveform of the programming algorithm as well as the timing bus transactions. This is all accomplished under the Signal Tap tool. The new pattern is then imported into the test list and gives the customer a customized pattern with AC (tSU, tWD, tSAC, tRCD, tCL, tAL, tWR, tRP, tRC, tREF, tRFC, etc.) and DC (Vdd, Vref) parameters for testing their product. Additionally, the customer can also create a motherboard test pattern algorithm using the Script Code function. The TCIII-1600STIC performs the test with no-wait states in the operating system. Utilizing the Script Code function gives the customer a high degree of flexibility in terms of timing bus programming for creating unique Read and Write programming transactions under best and worst case AC parameters scenarios. This can also be used to create a no-wait state bus transaction in the Read to Write cycle. - Sequential read operating, erase operating and stand-by current (TTL) etc. 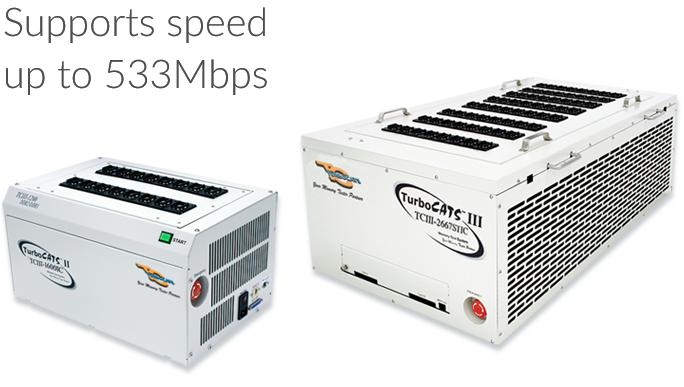 TURBOCATS, LTD. RESERVES THE RIGHT TO CHANGE PRODUCTS, INFORMATION AND SPECIFICATIONS WITHOUT NOTICE. Products and specifications discussed herein are for reference purposes only. All information discussed herein is provided on an "AS IS" basis, without warranties of any kind.